At our house, we love lotion bars. 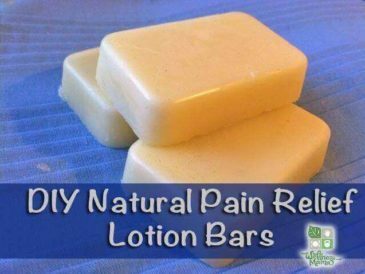 In fact, we rarely use regular lotion anymore since these lotion bars are so much easier to make and work so much better. They are also mess-free, even when the kids use them! Did I already mention it is super easy?! I’ve made lotion in the past, but was excited to stumble on this great variation, which is solid at room temperature and looks like a bar of soap. It is also even easier to make than lotion because it doesn’t require any emulsifying with water, which is the tough step. These are solid at room temperature like a bar of soap, but when rubbed on the skin, a tiny amount melts and is transferred to the skin, leaving a highly moisturizing and very thin layer. 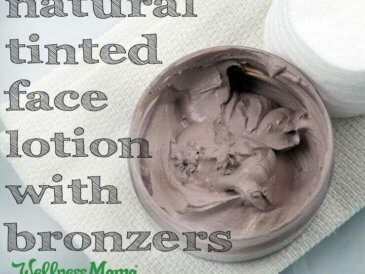 Toss in some cocoa powder and natural mineral makeup powder for a bronzing bar! And the list keeps going! Lotion Bars Make a Natural Gift! These lotion bars make fun and easy presents that are sure to please. Make a gender neutral or more masculine scent for the men in your life in a simple mason jar or stick, or fancy it up with floral essential oils with a decorative glass jar and label. Gift them for baby shower gifts, birthdays, Christmas, or mothers-to-be! Sometimes I use these empty plastic deodorant sticks when shipping a gift. I’ve even found them at the dollar store. For a more personalized look, just cut some burlap to size and glue around the stick. Here’s the base for my homemade natural lotion bars; feel free to experiment and change it up! Combine all ingredients (except essential oils if using) in a double boiler or a glass bowl over a smaller saucepan with 1 inch of water in it. UPDATE: Low maintenance approach: Combine ingredients in a quart-size glass mason jar and place jar in a small saucepan of water until melted. This will save your bowl and you can just designate this jar for these type of projects and not even need to wash it out! Turn the burner on and bring water to a boil. Stir ingredients constantly until they are melted and smooth. 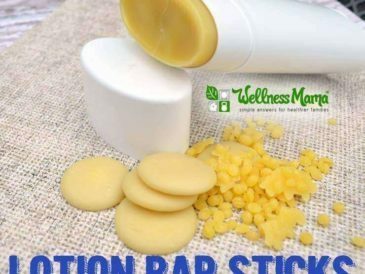 Remove from heat, let cool a bit, and add any desired essential oils and/or vitamin E.
Carefully pour into molds or whatever you will be allowing the lotion bars to harden in (ideas below). I used silicone baking cups for easy removal, though any mold would work. Allow the lotion bars to cool completely before attempting to pop out of molds. These could be made in different shaped molds for different holiday gifts (hearts for Valentine’s Day, flowers for Mother’s Day, etc.) or made in a square baking pan and then cut into actual bars. Note: This recipe can be adjusted to make any quantity that you’d like. I use equal 1 cup measurements as specified in the recipe which makes 12 lotion bars with my molds. For a small batch, this recipe could be cut in half or even one fourth. 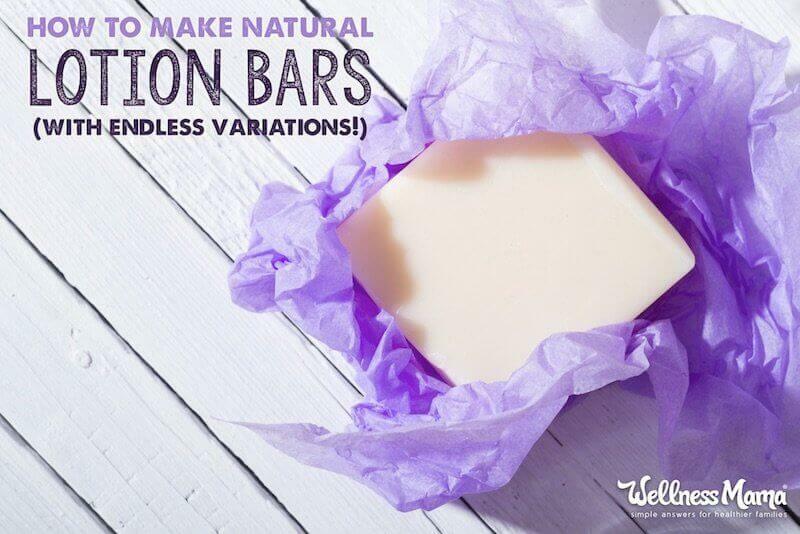 As Promised … More Lotion Bar Recipes! 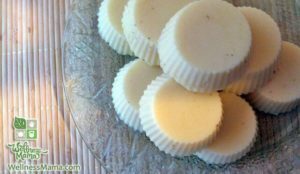 I’ve been experimenting with and making lotion bars for a long time, and I’ve built up quite the collection of recipes for different needs over the years. That’s the beauty of it — make what you need, when you need it! These lotion bars use an unconventional ingredient in place of coconut oil for those with an allergy or aversion to coconut oil. 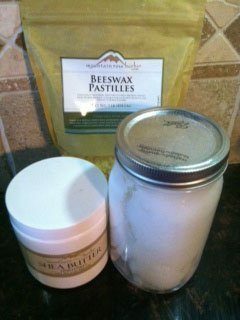 These are especially helpful for those with eczema or skin dryness and they are equally simple to make. 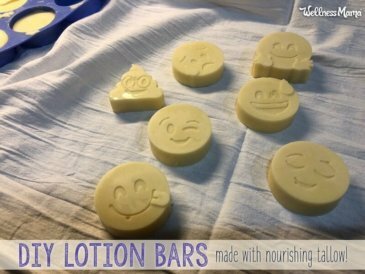 Click here for the sensitive skin lotion bar recipe. These 3-in-1 lotion bars are the perfect summer trifecta: bronzer, sunscreen, and bug repellent in one! Coffee-infused coconut oil makes this a great smelling and lightly bronzing lotion bar. One caution: the sun protection factor is low since I like to absorb some of the benefits of sun. Being of Irish descent, I have naturally fair skin. I’ve actually darkened naturally quite a bit since changing my diet, but in the winter especially, I often feel very fair skinned. This bar is how I compensate and get a little glow going any time of year. The optional essential oils give this bar an exotic scent. When our family started taking martial arts, these bars came in handy. They use natural ingredients like arnica, menthol and mint to help sooth sore muscles (just not while pregnant or nursing!). They are a natural cool/heat bar that helps ease muscle stiffness and pain. We don’t have nearly enough bats in our area for the number of mosquitos we have. In the summer months, mosquitos are really bad at our house, especially since we have so much shade around our house. These lotion bars have been a huge help! They protect the skin with natural oils and moisturize at the same time. 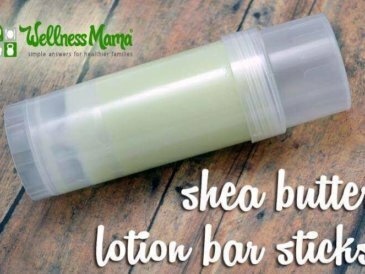 Here are the directions for bug repellent lotion bars. We don’t use sunscreen often, but when we will be outside for longer than usual, these are a great natural solution. 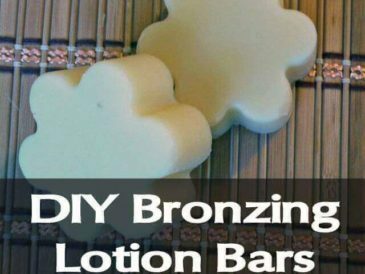 They use zinc oxide with the basic lotion bar recipe ingredients for a low SPF lotion bar. This recipe uses my base for lotion bars with the addition of wintergreen, peppermint, lavender, and orange essential oils for a perfect invigorating wintery blend. The gender-neutral scent makes this one a perfect Christmas gift for anyone on your list (kids and pregnant moms excluded … see the post for more). This recipe really does include gold (mica powder), frankincense, and myrrh and is a great way to celebrate the meaning of the Christmas season. Again, makes a great gift! Although I don’t find lotion bars particularly messy (unless one of the kids mistakes one for soap and uses it in the shower … (I don’t recommend it! ), it is possible to make lotion in stick form in an empty deodorant container. I use this version when I travel or when I want to ship gifts and need lightweight packaging. Get the recipe as well as where to find the containers here. Allergic to coconut oil, or just have reactive skin in general? This eczema-friendly version uses cod liver oil for skin-soothing soluble fat vitamins and omega-3s. They are also gentle enough to use on baby. Read how to make them here. I use this recipe in the winter months as it has an extra dose of shea butter to protect and nourish chapped, dry skin in need of extra care. Don’t have mango, shea, or cocoa butter around? This recipe uses just coconut oil, beeswax, and a few drops of essential oil! This super easy recipe is here. On the flip side, if you’re allergic to coconut oil, try this allergy-friendly version with skin-soothing CLA and beneficial fats from tallow. Don’t Want to Make Them? 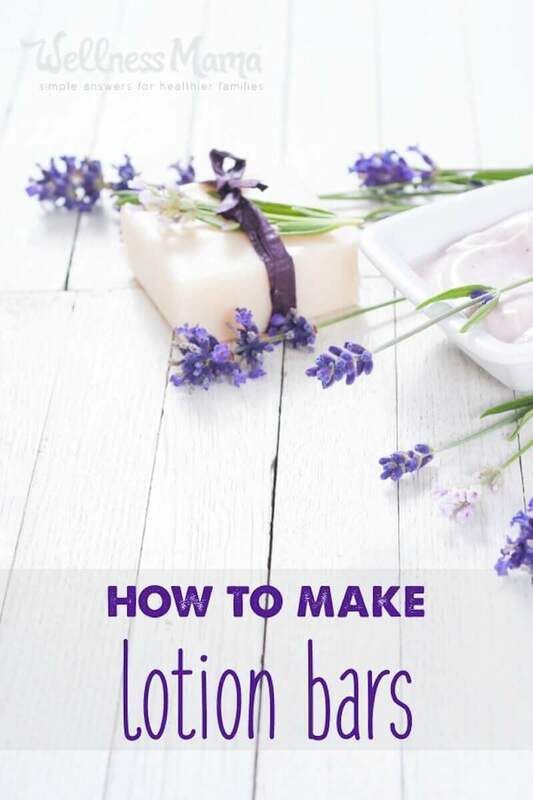 If you want to use lotion bars but don’t have the time or ingredients to make them yourself, I found a great small business, Made On, that makes all kinds of lotion bars, soaps, natural baby products, and hair products that are up to my standards. If you use the code WELLNESSMAMA, you’ll get a 15% discount off your order! Do you use lotion bars? Ready to make your own? Share below in the comments, and let me know any variations I missed!